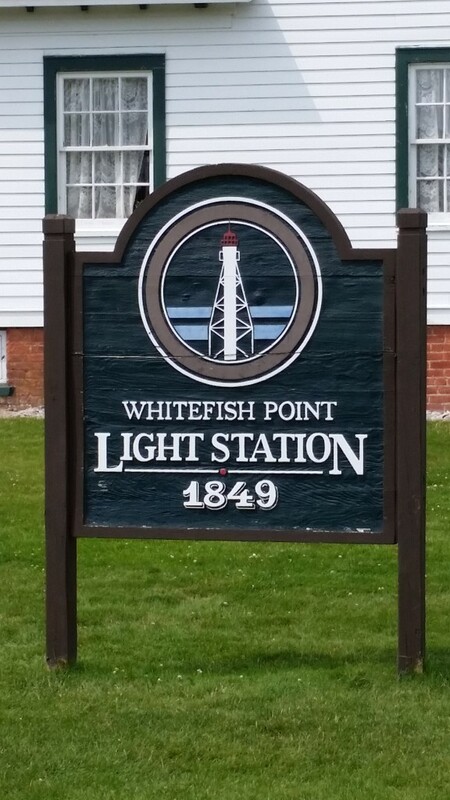 Whitefish Point is located along the southeastern shore of Lake Superior in Michigan’s beautiful Upper Peninsula. 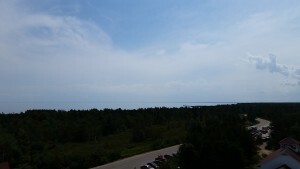 While the area is 2 hours north of the Mackinac Bridge, it is well worth the drive through the backwoods. 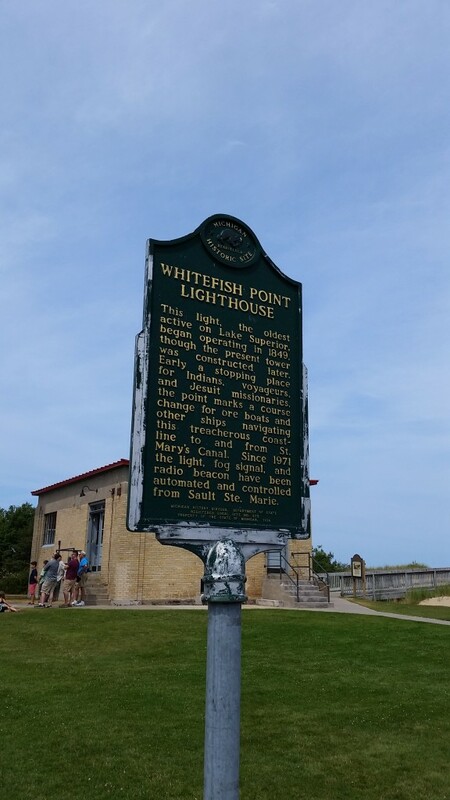 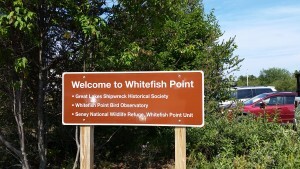 Whitefish Point boasts something for everyone from a national bird sanctuary, to a renowned shipwreck museum and spectacular views from a historic lighthouse! 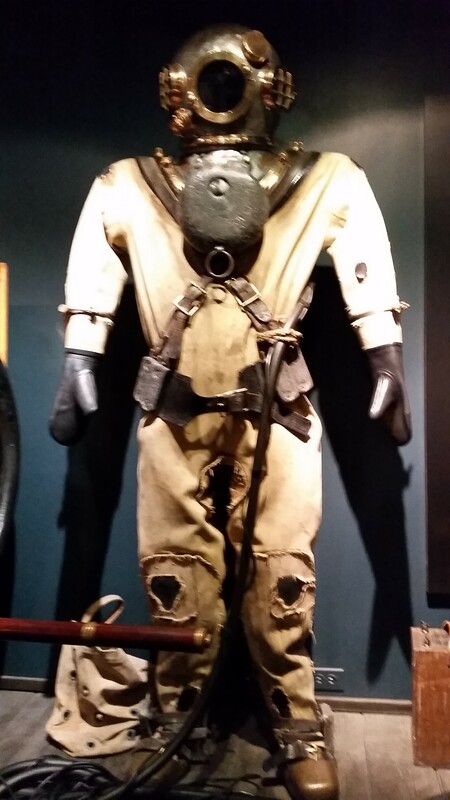 At Whitefish Point, the most famous attraction is the Great Lakes Shipwreck Museum. 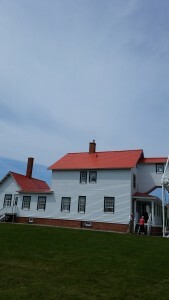 The Museum itself is housed in a collection of buildings that comprised the Whitefish Point Light Station. 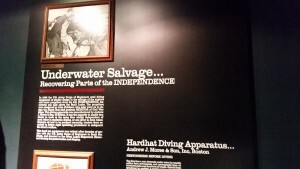 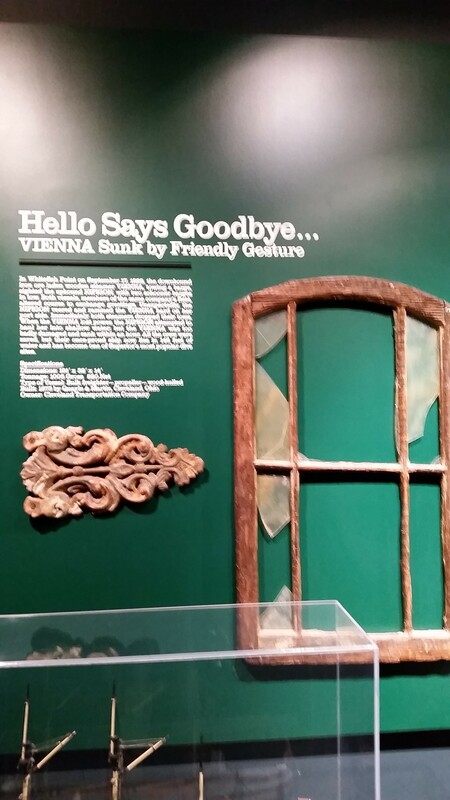 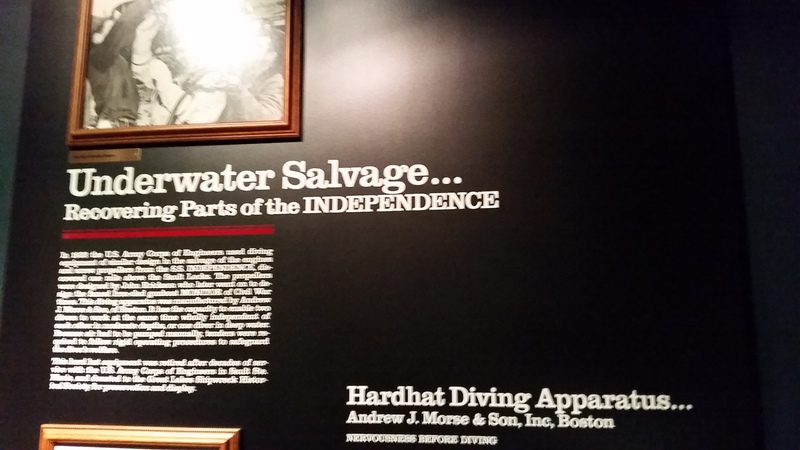 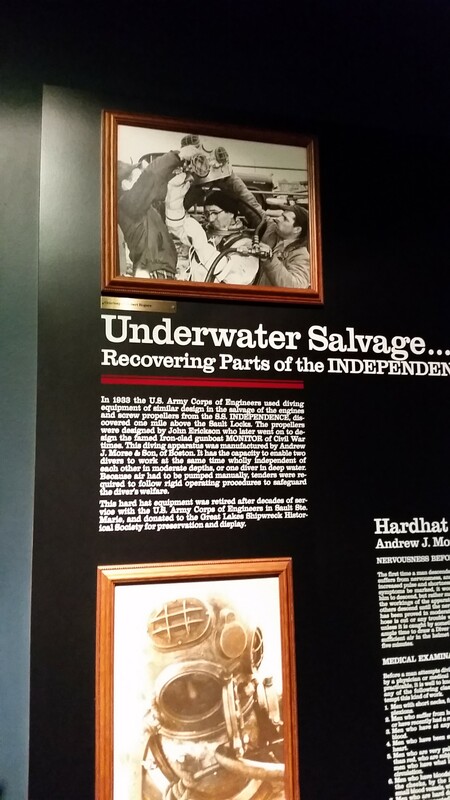 The centerpiece of the museum houses exhibits on shipwrecks that occurred in the vicinity of Whitefish Point and the Great Lakes, as well the history of the Whitefish Point area. 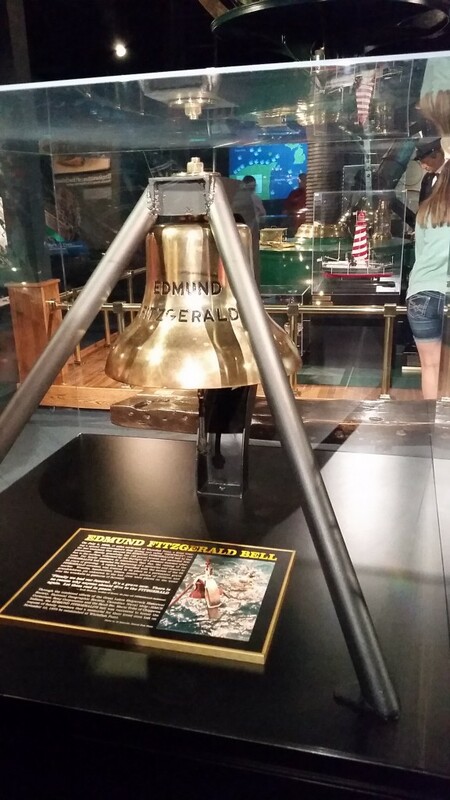 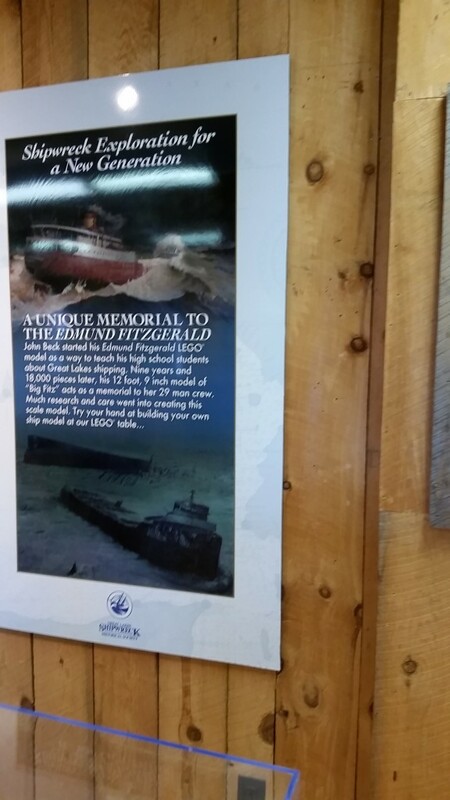 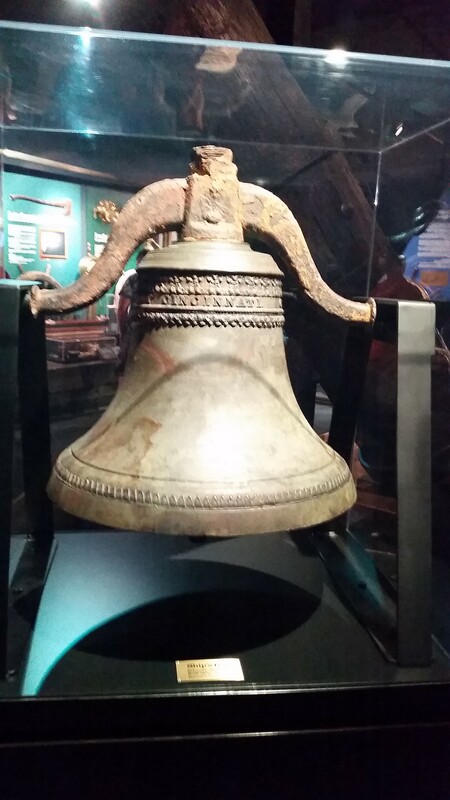 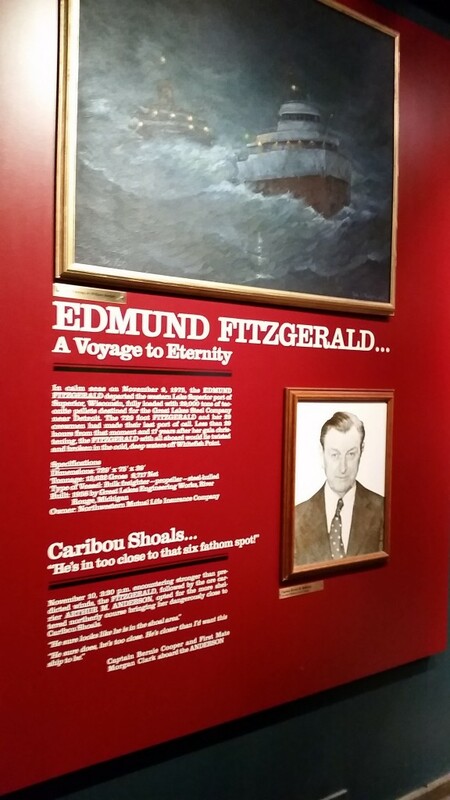 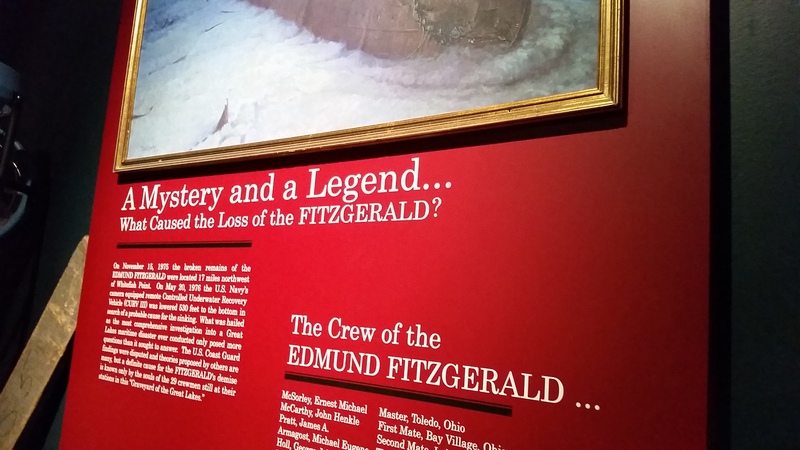 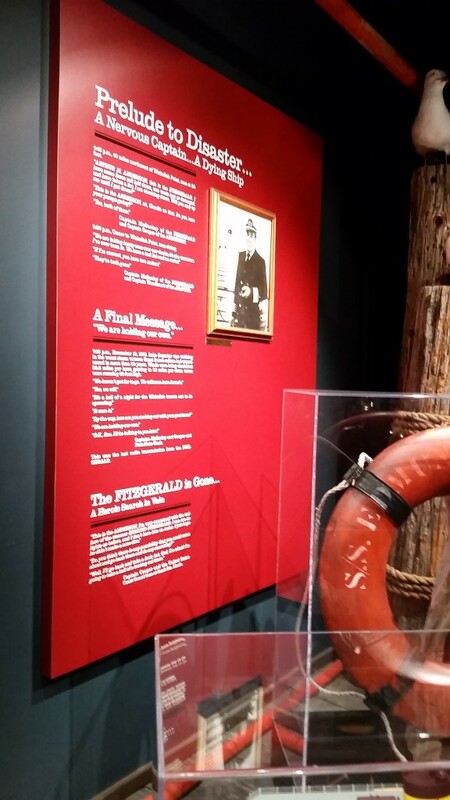 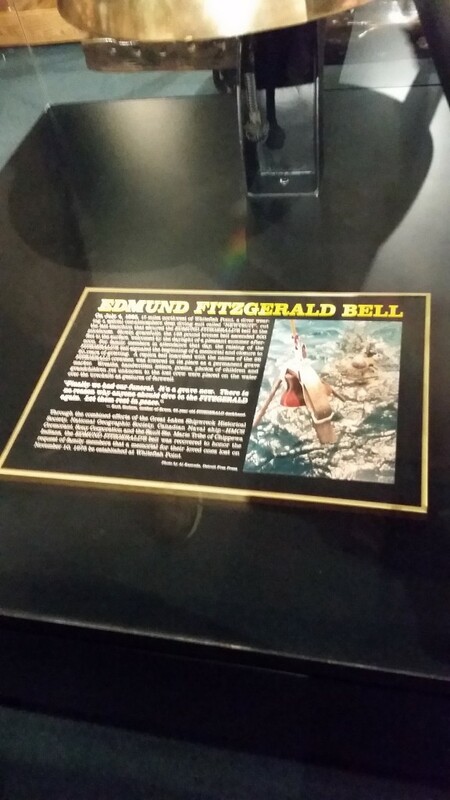 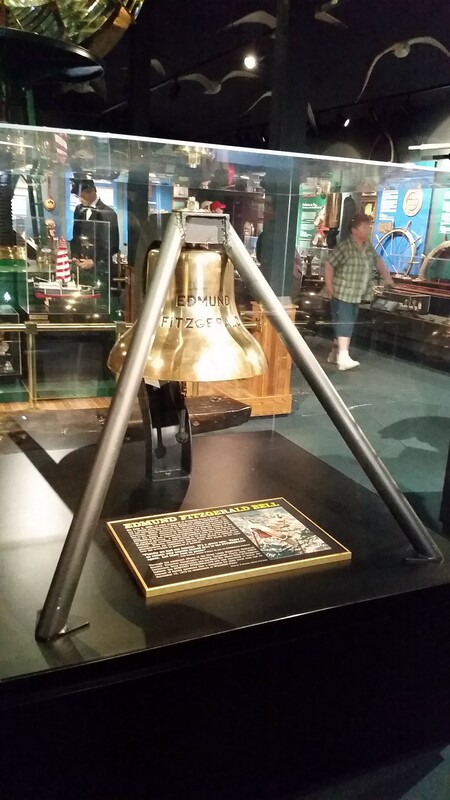 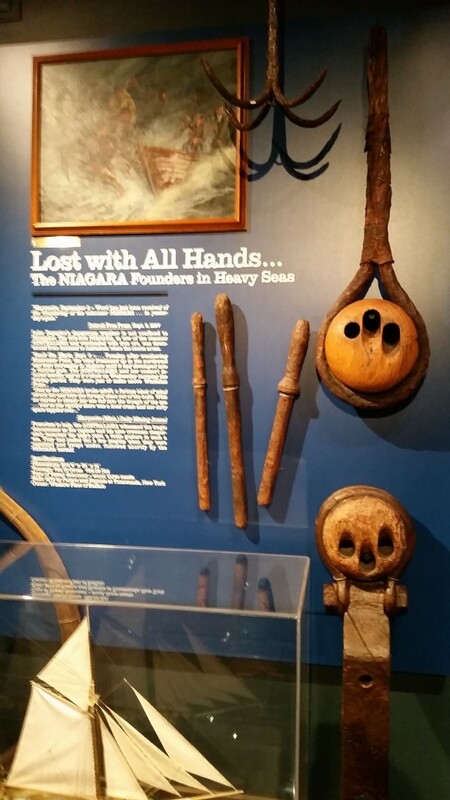 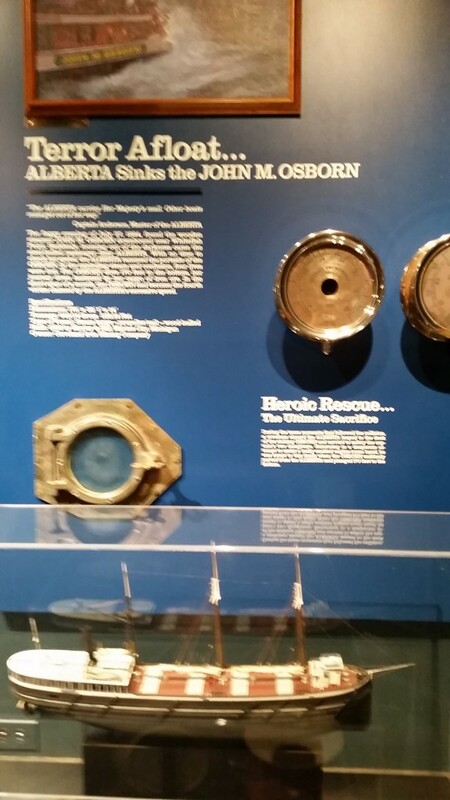 A recent addition to the museum that draws many visitors is the bell of the Edmund Fitzgerald, the most famous Great Lakes shipwreck; a ship immortalized in a Gordon Lightfoot ballad. 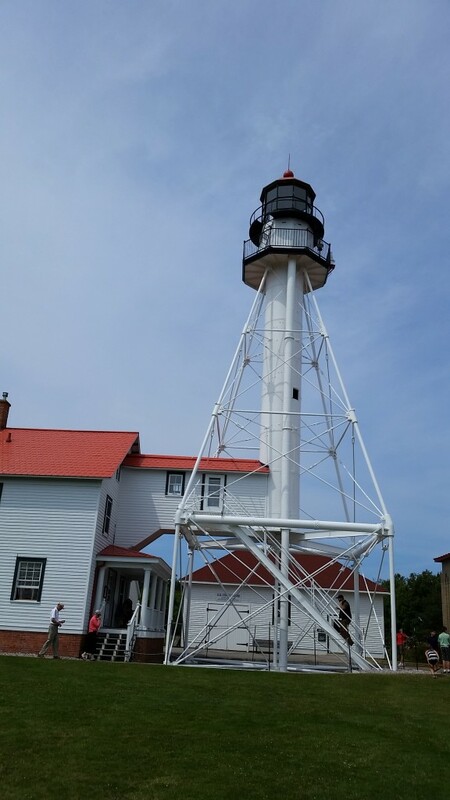 Another great part of the museum is the Whitefish Point Light itself. 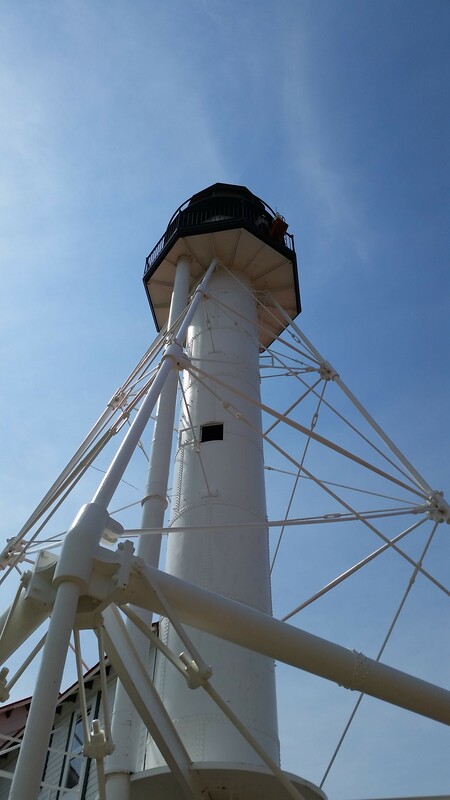 The climb itself is not for the faint of heart as one has to traverse a number of stairs in the interior portion of the Light while in a tight space. 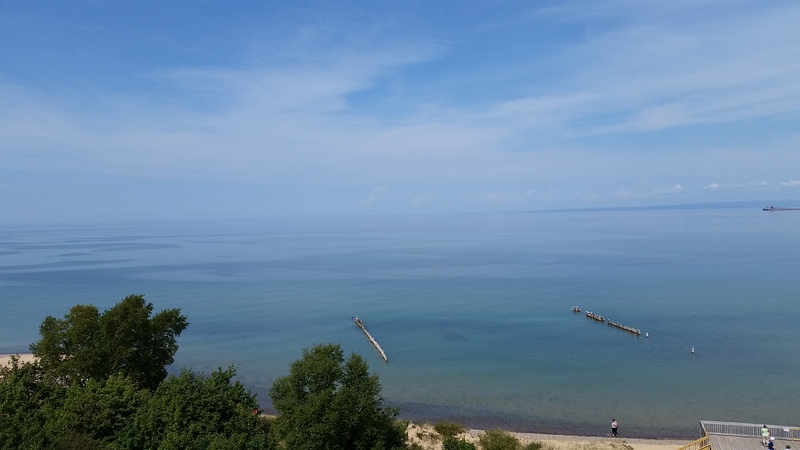 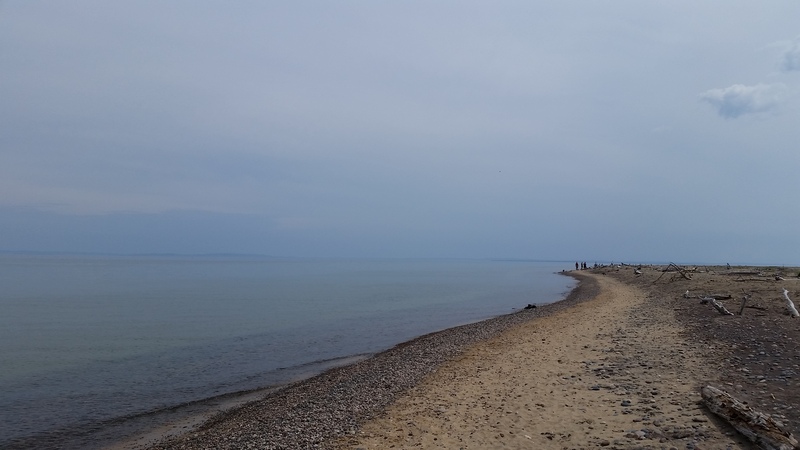 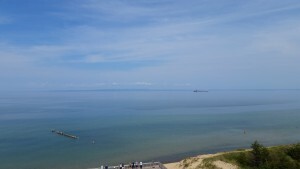 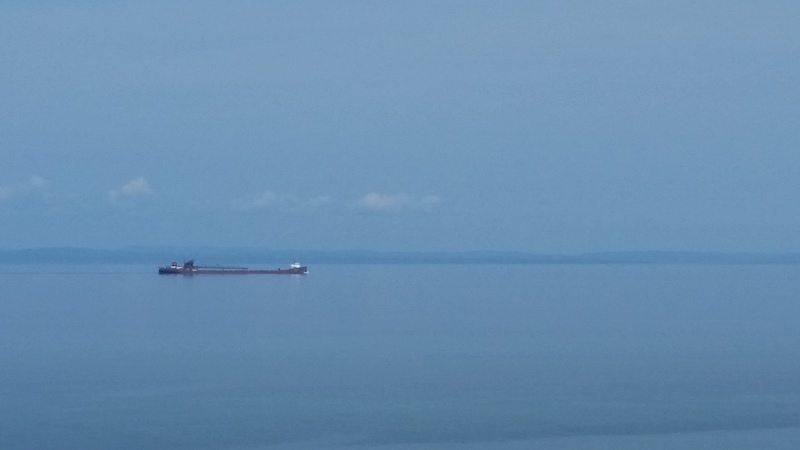 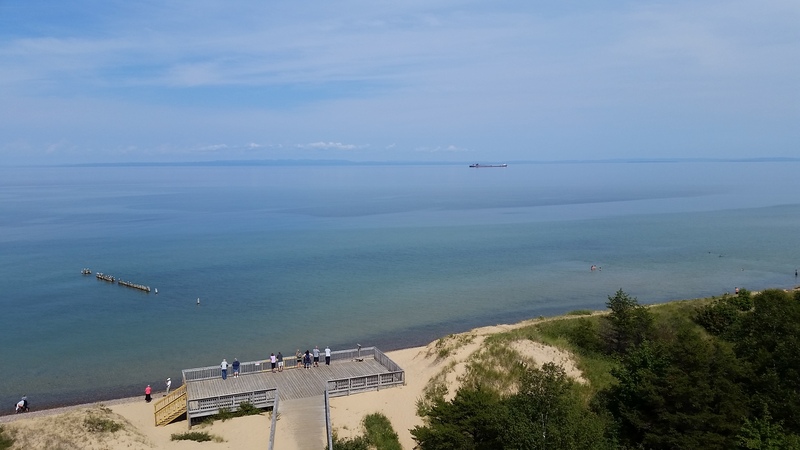 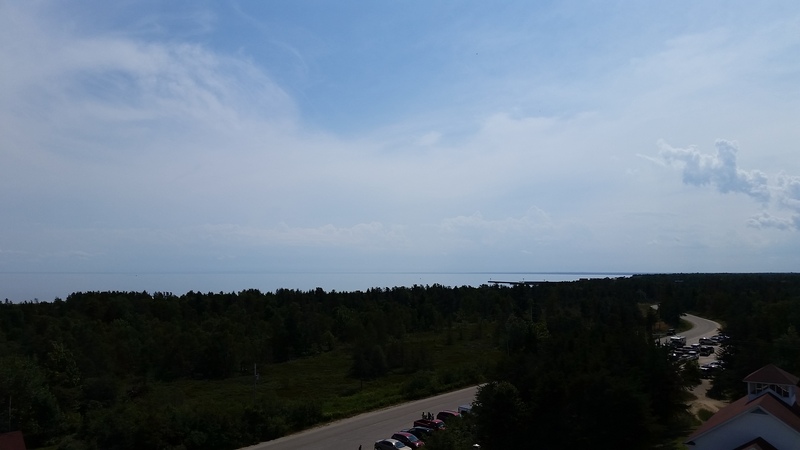 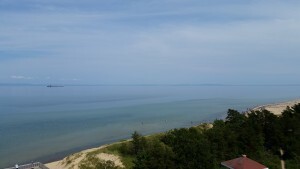 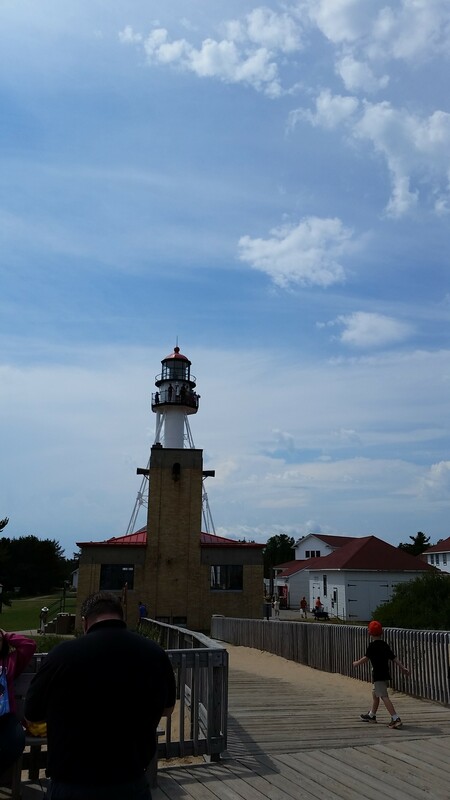 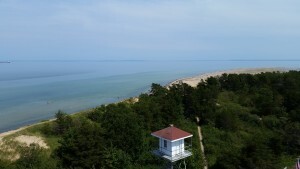 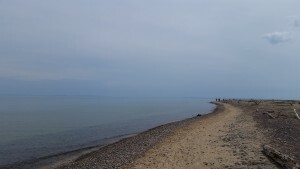 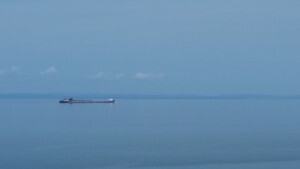 However, the reward is well worth the climb, but not for the claustrophobic; the views from the top of the Light offers glimpses of Canada, the sandy shoreline of Whitefish Point and the seemingly ever-present freighters. 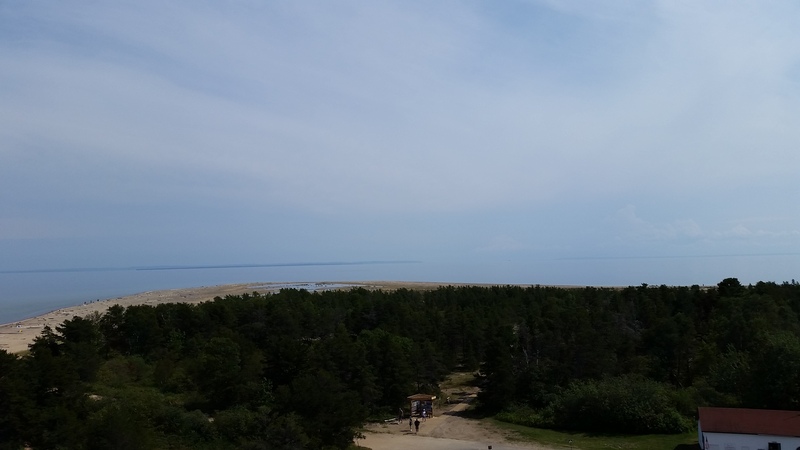 The views are something that must be experienced firsthand! 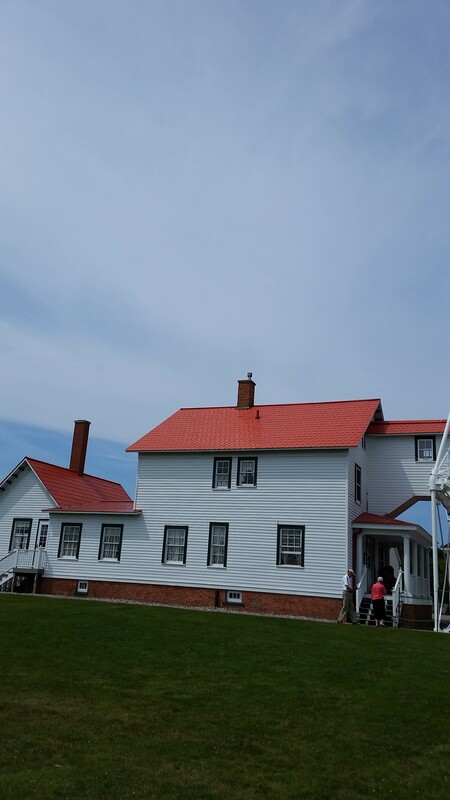 Lastly, there is the Lighthouse Keeper’s Quarters, which showcases life at the Whitefish Point Light Station at the turn of the 20th century. 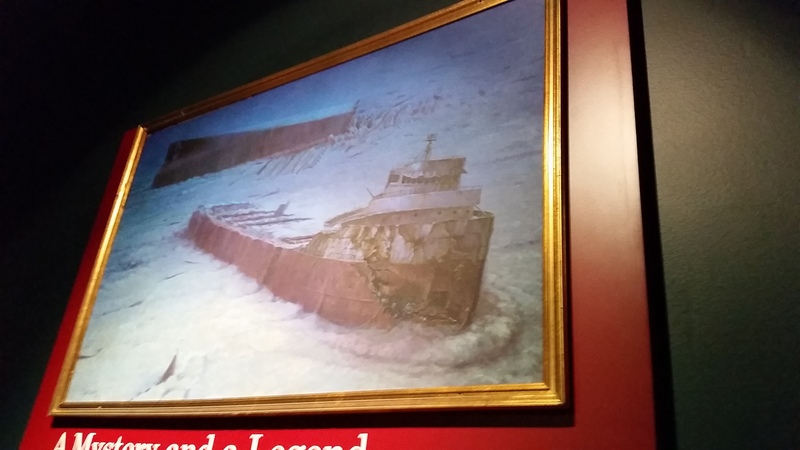 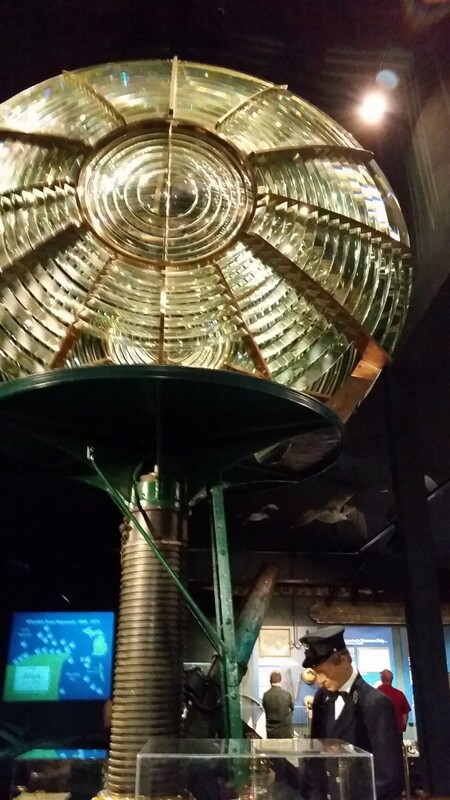 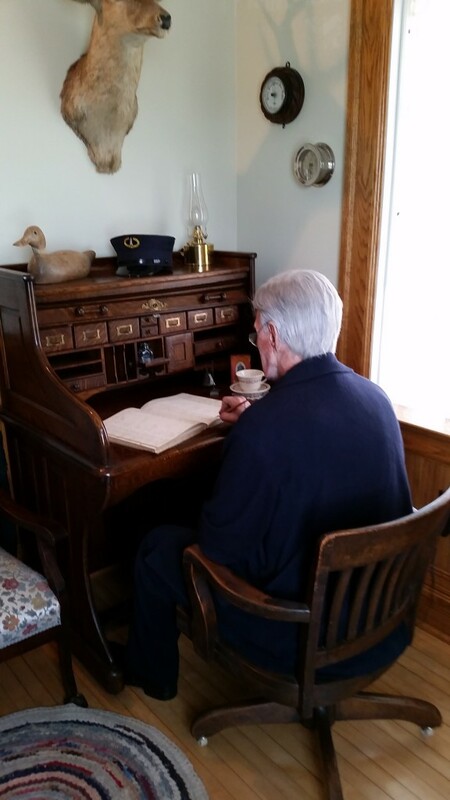 Exhibits explain how lighthouse keepers lived, though life was tough due to the location’s remoteness, inclement weather and constant danger to ships in the “funnel” of Lake Superior near Whitefish Point. 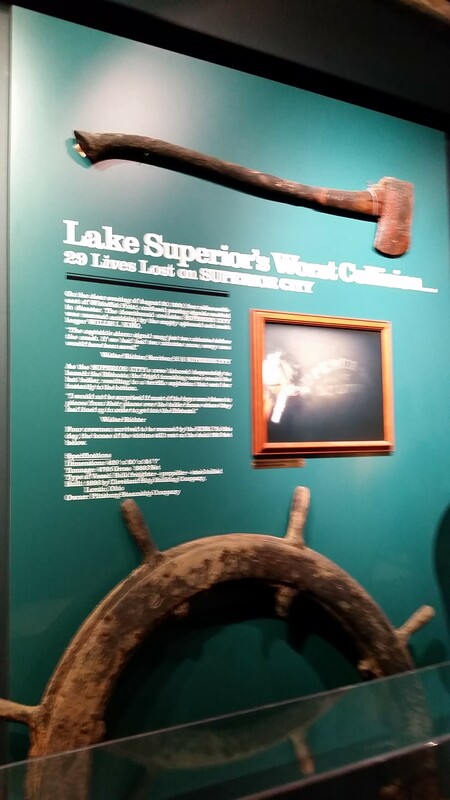 If you are looking for an amazing and historical attraction, visit the Great Lakes Shipwreck Museum at Whitefish Point. 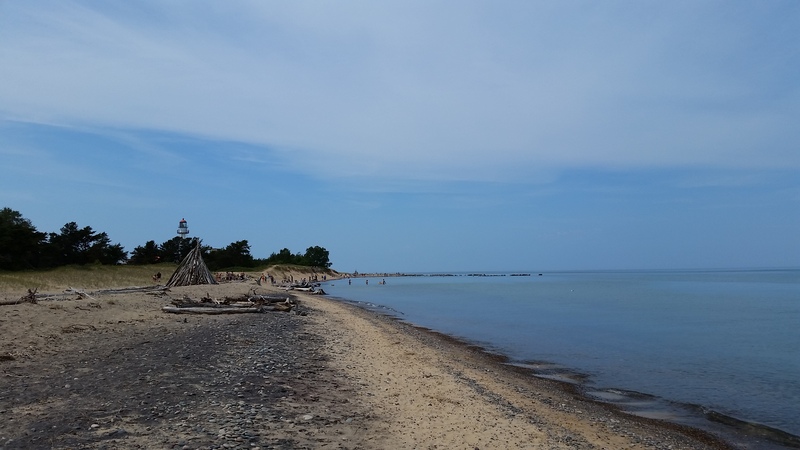 Whitefish Point Lighthouse from the beach.